On the senior side of the club we therefore offer a mix of competitive league cricket on Saturdays in a variety of formats (more later) as well as Sunday friendly cricket, limited overs games in coloured clothing and the thrill of midweek T20s in a couple of cup competitions. So whatever level you play at we’ll find you the cricket you want to play and we’ll help you to enjoy it and give you the chance to improve. 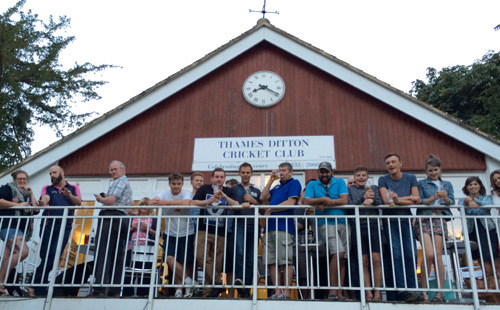 Our first eleven are on the up, winning their League last and now in the Fullers Brewery Surrey County League Premier League. The ones play a mix of 45 over per side games and timed games. 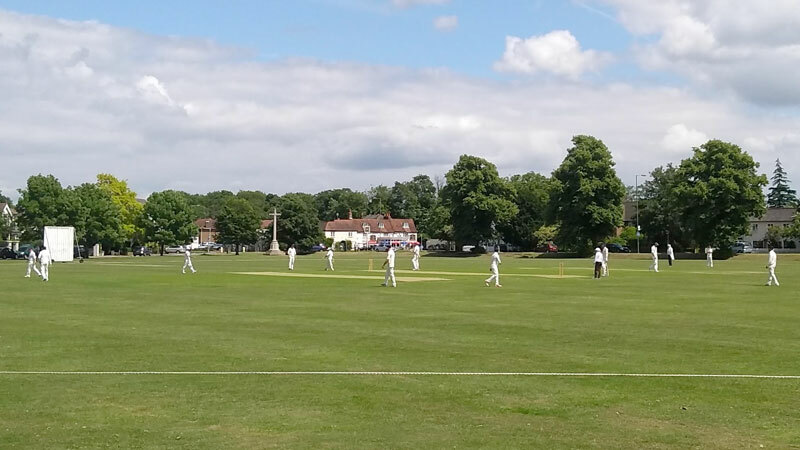 Our 2s play in the fifth division of the highly competitive Surrey Championship in a longer 50 over format and play some of the biggest clubs in Surrey. 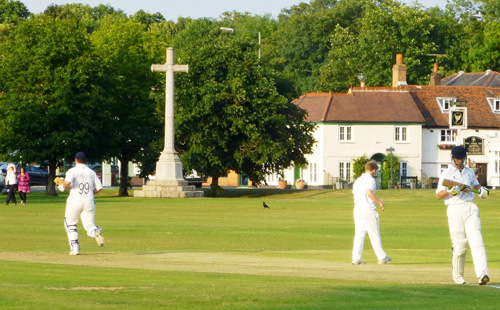 The 3s and 4s are also based within Thames Ditton at the Old Paulines ground. The format for these teams is fast-paced 40 overs a- side games, which keeps things lively and interesting. You’ll see these sides are a mix of youth and experience. On Sundays we offer a mix of friendly (yet competitive) games many against familiar foes on the Green. This is the way Sunday cricket should be played, within the spirit of the friendly game and with the chance to have a cold drink and a chat with the opposition, before the working week takes over. 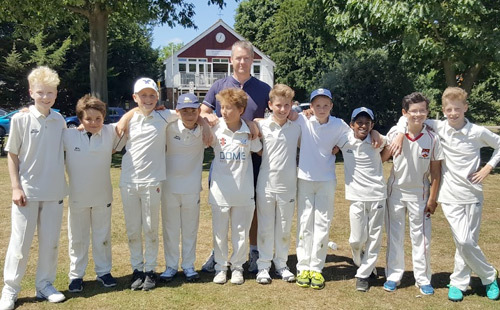 We also put out a team in the Surrey Trust, a competition designed for our younger players in coloured clothing, limited overs and fielding restrictions. Bringing a bit of one day spectacle to the Green. No matter where you play your senior cricket with us, we have built a structure that is designed to reward those who work hard and contribute to their teams. Selection meetings take place every week, are carried out fairly and communicated clearly to you. Training takes place twice a week – on Tuesdays and Thursdays – on the Green and there’s always a chance to relax and discuss the weekends games in the bar afterwards. If you’re thinking of joining the fun, go on. Do it. There’s nothing like being part of a team.